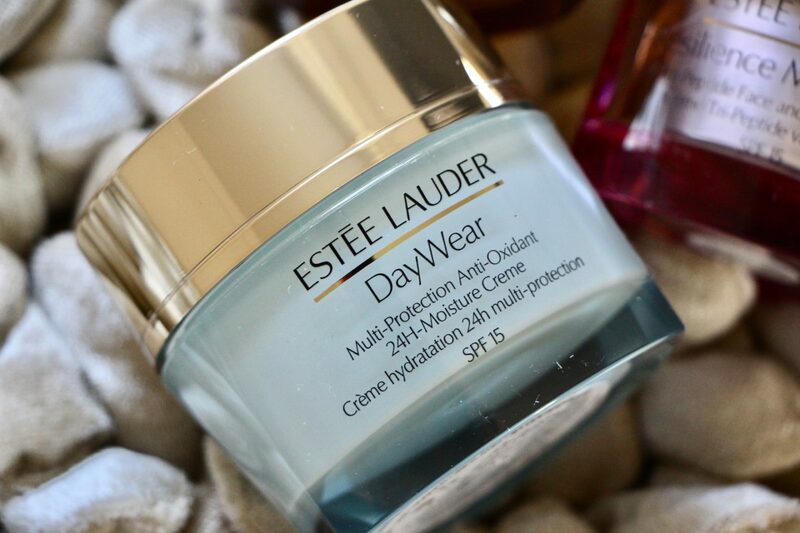 First out of the testing bag: Estée Lauder’s DayWear Multi-Protection Anti-Oxidant 24H-Moisture Cream SPF 15*. This moisturiser took me on a serious journey down memory lane because the fresh, cucumber-y smell was just so evocative of the long summer days and exotic modelling trips I went on in my twenties. I was terrible for spending small fortunes on beauty products at airport duty free and this cream (along with the Sheer Tint Release* version, which is amazing for a barely-there hint of colour and glow) used to be a regular buy. DayWear is a great starter moisturiser – it does everything you need it to do when you’re after good skin maintenance and want a lightweight texture, and it’s perfect for younger skin that doesn’t want overloading. Lasting hydration comes from the hyaluronic acid and squalene, and the antioxidants as well as the broad spectrum SPF 15 help to protect the skin from damage. If, however, it’s mega-moisture you want – the sort of bouncy hydration that makes your skin feel as though it has been for its own two week health retreat – you need the Revitalizing Supreme + Global Anti-Aging Cell Power Creme*. 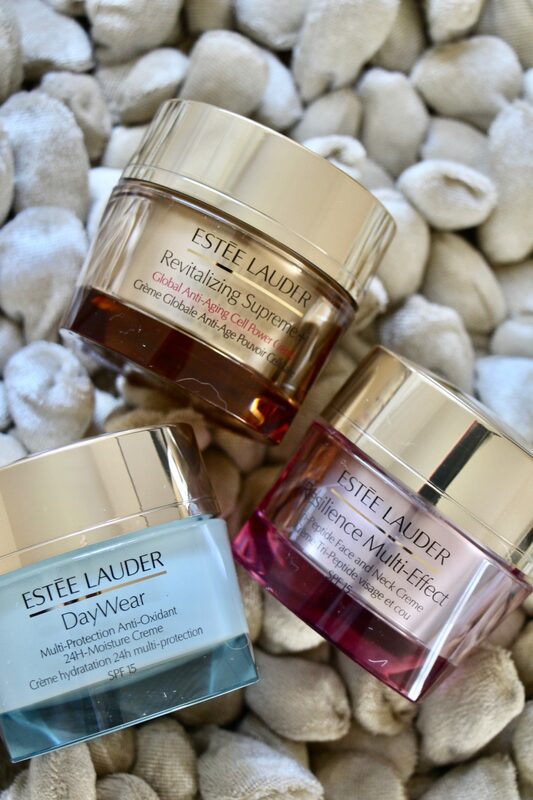 I told you I already had a favourite in the Estée Lauder line-up and this is it; discovered via the incredible Wake Up Balm* from the same range, the Revitalizing Supreme Global Anti-Aging Cell Power Creme is a plumptious treat that leaves my skin feeling more elastic, more cushiony, generally less worn out. If you tend to have that annoying tight dryness on your forehead (me) or everything just feels a bit thin and lacklustre (also me), this is a hard-working, non-greasy cream that is instantly satisfying. In the long run, it has been formulated to help build natural collagen and restore skin suppleness. 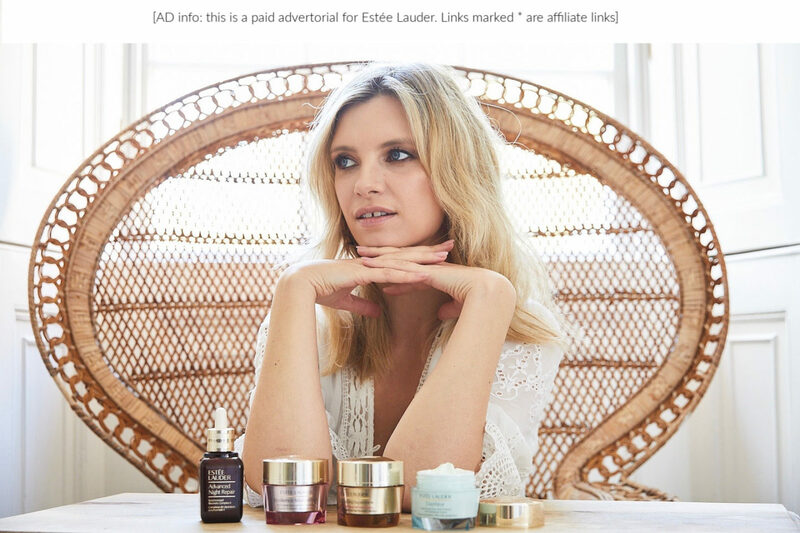 The hero ingredient in this cream is moringa extract which Estée Lauder say is one of the most powerful anti-aging ingredients they’ve ever discovered; incredibly nourishing, it helps the skin to build natural collagen so that skin is firmer, more elastic and the appearance of lines and wrinkles are reduced. OK, if the Revitalizing Supreme is my “big guns” for moisturisation then I’m not quite sure what I’d call the Resilience Multi-Effect Tri-Peptide Face and Neck Cream*. Big cannon? I see this as the all-grown-up version of DayWear; highly emollient, it has a broad spectrum SPF 15 and antioxidants to help protect the skin as well as the tri-peptide complex to boost collagen. 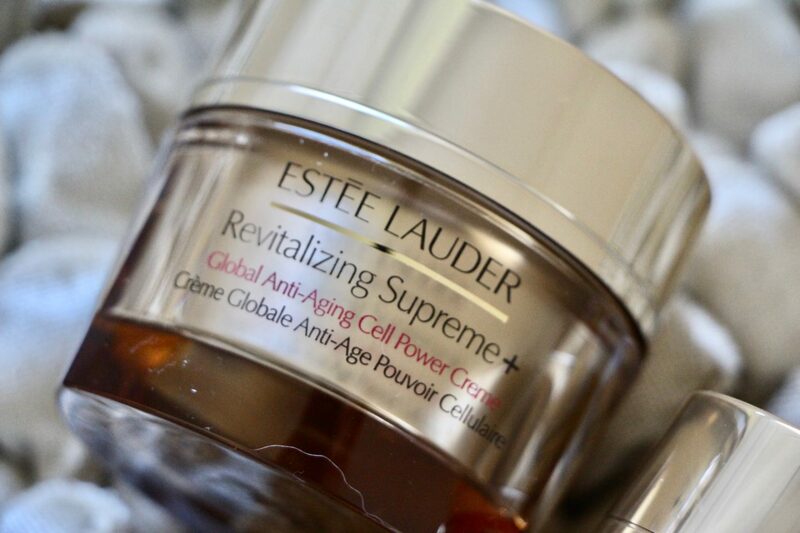 I’d say that purely on moisturisation capabilities this is Estee Lauder’s most powerful cream for dry and very dry skin; I don’t get the same feeling of gelatinous bounce that I might get with the Revitalizing Supreme range, but there’s no doubt that it’s intensely rich. And this is probably where my bias starts to show; I would favour Revitalizing Supreme (gold pot) over Resilience Multi-Effect (pink pot), unless my skin was so dry that the slightly lighter creme texture of the former simply didn’t feel moisturising enough. 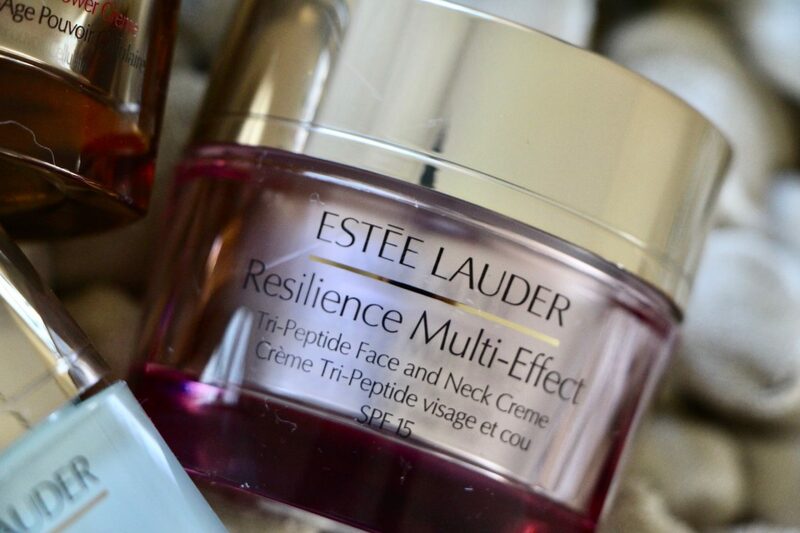 Saying that, if I wanted an everyday high-performance cream that ticked a lot of the protection boxes (broad spectrum sunscreen, help with repairing barrier damage from infrared rays) then the Resilience Multi-Effect would be my definite pick. I suppose it depends on whether you like to pack everything into one cream and only see incidental sun exposure, or you’re outside more and need to layer a dedicated sunscreen over the top. Those who like one cream will love Resilience (pink pot!). Those who like to layer and who love skin like a bouncy castle will want Revitalizing (gold!). Those who like one cream but don’t have skin as dry as the Sahara, or who are looking for a straightforward first moisturiser, would be better off opting for DayWear. Got all of that? Alrighty then, dear Ruth, let’s get cracking on night creams!